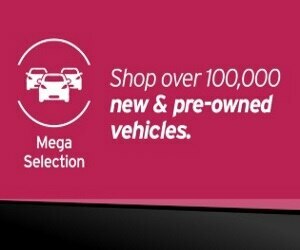 Why Buy From AutoNation Honda Chandler? At AutoNation Honda Chandler, we believe in providing premium customer service for the life of your vehicle. Shop online and reserve a vehicle for up to 48 hours with AutoNation Express. Plus, we’ll buy your car and you don’t have to buy one from us. Just another way we make car buying easy. *We'll buy your car: Subject to in-store verification, vehicle condition & mileage. Appraisal valid for 7 days or 500 miles, whichever comes first. See store for details. Some restrictions apply. Accessories & color may vary. Dealer not responsible for errors or omissions. New vehicle pricing may already include applicable manufacturer incentives which may expire at any time & are subject to incentive qualification criteria & requirements. Manufacturer incentive data & vehicle features is provided by third parties & believed to be accurate as of the time of publication. Please contact the store by email or phone for details & availability of incentives. Sales tax or other taxes, tag, title, registration fees, government fees, not included. Dealer Services Fee not included in quoted price. Pre-owned vehicle Money-Back Guarantee is valid for 5 days or 250 miles, whichever comes first. Subject to certain terms and conditions. See store for details. Some restrictions apply. Some used vehicles may have unrepaired safety recalls. You can check recall status by VIN, at www.safercar.gov. "Couldn't get vehicle i wanted." "I had a great experience purchasing My 2015 Honda Accord Hybrid. I test drove four other makes and models of Hybrids and none performed as well as the Accord. The Accord also has great mileage ratings, second only to one other car which was considerably smaller. My salesperson, Eddie Matthias, was very professional, informative and low keyed. I did not feel pressured at any time during the process. He made the effort and took the time to get me the car with the features I wanted, including locating it at another dealer and picking it up. During the test drive he explained the features and once we finalized the paperwork, Eddie walked me through everything in great detail. Mycal in finance was also great to work with. He presented me options and left it up to me to make the choices without undue pressure. On a scale of 1 to 10, this experience was a solid 10. 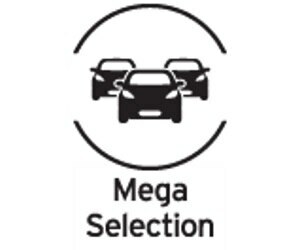 I would definitely recommend AutoNation Honda to my family and friends. FOR A GREAT EXPERIENCE BE SURE AND ASK FOR ED"